There is a number of options when it comes to repairing vinyl siding. Vinyl Siding is inexpensive and indestructible making it a popular choice for Long Island homes. Need siding repair on Long island? Are you in need of siding replacement or mainentance? Sunrise Roofing & Chimney is a full-service, licensed and insured siding specialist. 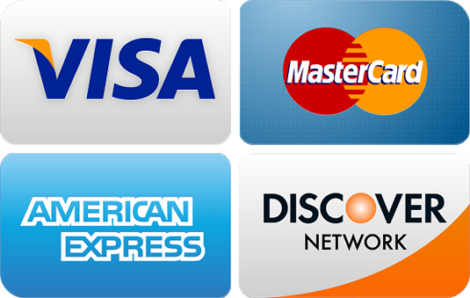 We are experts at siding and understand the importane of maintaining the siding on your home. 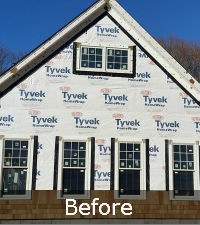 We’ve installed and repaired siding on hundreds of homes on Long Island and our customer’s love us. From vinyl siding to cedar shake, we’re experienced in all aspects of installing and repairing siding, siding trim (fascia), and soffits. Whether you need to repair siding or replace siding, Sunrise Roofing & Chimney has options to suit your needs. 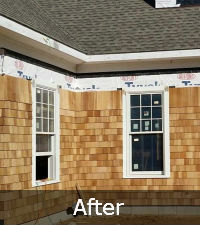 If you live in Nassau and Suffolk County, consider our siding contractors to work on your home today. Siding protects the foundation of your home from outside elements. As the first barrier between the outdoors and foundation of your house, it plays an important role in keeping water, debris, and moisture out. Additionally, siding is meant to look visually appealing so it can help enhance the beauty of your home. How do I know if my siding needs to be repaired? There are many signs that can show that siding needs to be repaired. 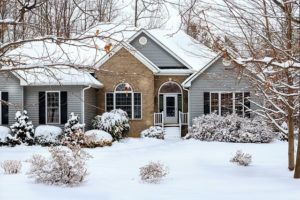 Some of the most common signs include siding with holes, siding that has rotted, cracked siding, siding that is falling off your house, fungus or mold on your siding, or a draft inside your house. My siding has a small hole in it, can it be repaired? The best way to guarantee a perfect fix is to replace the entire piece of siding. However, if you’re looking for a quick fix, we can use caulk to seal a hole in your siding. Caulk comes in many different colors that can match your siding so it won’t even be noticeable. Can my siding be repaired year round? Yes, it is best to repair your siding when you first become aware of a problem. The longer that homeowners wait to repair their siding, the more problems that can occur. By repairing your siding as soon as possible, it can reduce the risk of additional problems to your siding and other parts of your house. Each repair project is different. Give us a call today to set up your FREE ESTIMATE and learn more about how Sunrise Roofing and Chimney can help repair your siding. How long does it take for siding to be repaired? It all depends on the damage to your siding. Often times we are able to repair your siding in just a few hours and have your siding looking as good as new. Can Sunrise Roofing and Chimney help with all of my siding needs? Rely on us for all your home’s siding needs.